We Americans love our coffee. Statistics show that we go through 2.1 cups of the stuff per person every day. That’s a lot of coffee — and, if you’re still buying yours at the coffee shop on the way to work, it’s a lot of waste, too! Here are five reasons why you should be brewing your own coffee instead of dropping by the Starbucks or Dunkin Donuts that you usually frequent. Let’s start with the obvious: coffee shop coffee is overpriced! It may not seem like a big deal to pay three bucks for a large coffee at a popular chain (the average person spends a bit above $3 per coffee), but if you do that every day for a year, then you’ll be spending more than a thousand dollars a year! Coffee that you make yourself, by contrast, can cost as little as 16 cents a cup. Over the course of a year, such a shift is going to save you hundreds, if not thousands, of dollars. That’s a lot of money to enjoy just because you’re getting the same coffee in a different way — and, as we’ll soon find, a better way to boot. Coffee shops can make fancy coffees — but so can you. In fact, brewing your own coffee can help you take control of your coffee experience in new ways. 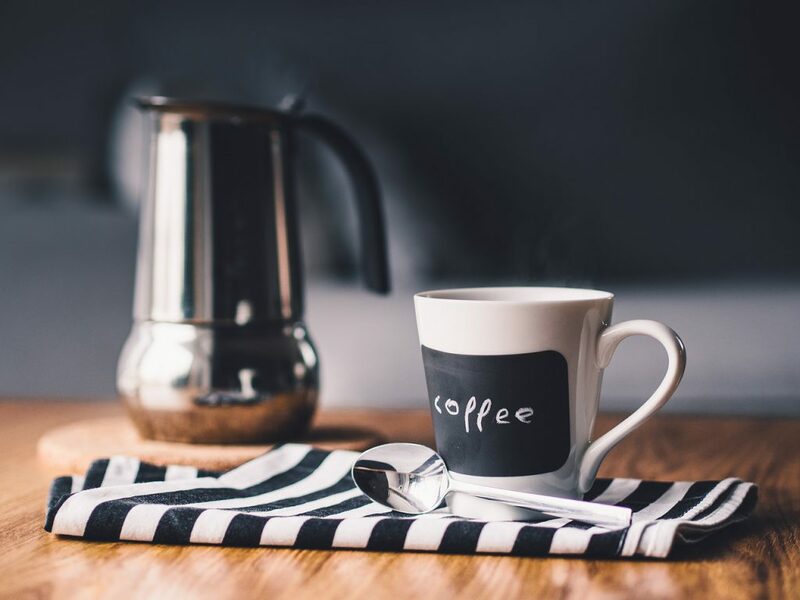 Shopping at specialty stores or finding the best coffee subscription service for you can mean getting a greater variety of higher-quality coffee beans and grounds. And when you’re the one making the coffee, you can decide how you’d like it made: in a coffee machine, in an espresso maker (add hot water to make an Americano), in a French press, or in any other way you can imagine. Brewing your own coffee and drinking it from a reusable cup is a low-impact activity. Buying a coffee at the local chain shop? Not so much. Even without the straws, big coffee chains generate an awful lot of waste in the form of all of those disposable paper and styrofoam cups. While you can use a reusable coffee cup at the coffee shop, having your coffee at home ensures that you won’t contribute directly or indirectly to the wasteful ways of coffee shops. Making your coffee at home is quick and easy. You can start the coffee maker before you step into the shower, or you can cold-brew your coffee overnight. Either way, you’ll find that it’s faster than stopping at the coffee shop on the way to work. That’s a hectic errand, and perhaps even a dangerous one! Experts say that eating and drinking in our cars is one of the most dangerous things we can do behind the wheel. And attorney Sam Bernstein, an expert in car accident lawsuits, tells us that the repercussions of an accident can go on for years. How many times have you read articles about successful people waking up early? It’s hard to believe that they have all of this time — but you’ll have a bit more if you brew your own coffee and skip that errand we just talked about. Instead, use that time to sip your coffee and relax. Read the paper, browse the internet, or even meditate, then head off to work and enjoy the rest of your day in a better state. Coffee is about waking up, but the ritual, not just the caffeine, should work for you, as well.